It's been a truly magical experience in Ethiopia this past week. Here, in the birthplace of coffee, hundreds of thousands of completely wild coffee trees grow under the cover of dense forest towering hundreds of feet overhead. We coffee sourcers often like to talk about the pleasures of visiting a perfectly managed coffee farm (properly pruned and mulched, spacing between trees, carefully planned shade trees, etc) but never could we have imagined the joy of walking through a dense forest of coffee trees growing wild without human assistance, going on for miles and miles and hours and hours of driving and trekking. We're in the Jimma area of Ethiopia's Oromia State, meeting with the farmers and organizers behind the Belete-Gera Participatory Forest Management Project. The project allows communities living nearby to gain income by harvesting from the trees growing wildly within forest boundaries. 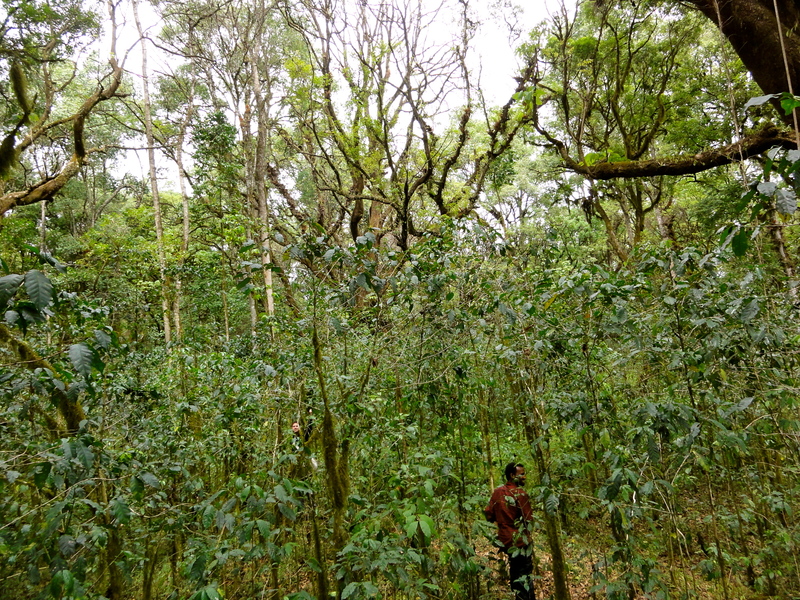 Deforestation of any kind - including pruning of coffee trees - is prohibited, making for complicated coffee economics, but based on the vast expanse of the forest and the density of coffee plants, the extremely low yields per tree don't present a major problem. It's been an eye opening experience, even if only for the fact that the growing environment and the model of farming and harvesting are so incredibly rare. Once we're back in NY and Chicago, we'll report more on this and our other activities in Ethiopia. Hoping to offer y'all a nice unwashed coffee from here or nearby soon.